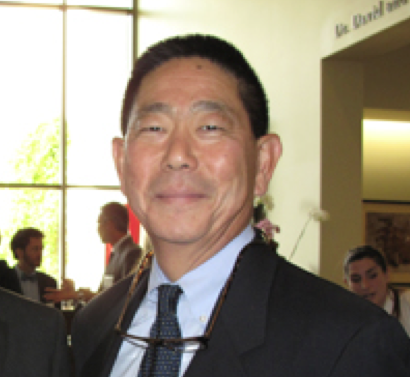 COSTA MESA – Judge Douglas J. Hatchimonji was named the Honorable James P. Gray Judge of the Year by the Constitutional Rights Foundation of Orange County at its annual benefit in November. The CRF-OC is a non-profit, non-partisan education organization dedicated to empowering Orange County youth to be active, responsible citizens. Operating continuously since 1981, CRF-OC provides high-quality, interactive civic and law-related education programs that connect students directly with volunteer professionals and community leaders. Hatchimonji currently serves as supervising judge of the Harbor Justice Center of the Superior Court of California, County of Orange. Prior to his appointment to this position, he served in the Orange County Juvenile Court for a period of five years. Hatchimonji is a long-time, committed supporter of CRF-OC’s Peer Court Program. As presiding judge of the Orange County Juvenile Court, he was a passionate and powerful advocate on behalf of the innovative program’s unique educational value and ability to positively impact at-risk children and families. This past year, CRF-OC undertook a comprehensive needs assessment of the program in an effort to evaluate the program’s continued relevance and effectiveness. Hatchimonji actively contributed to this undertaking, generously donating his time, energy and expertise over a period of months to bring together affected constituencies to discuss and explore options to ensure the program’s continued success. Judge Hatchimonji’s distinguished and visionary leadership, his steadfast belief in the value of the Peer Court Program, and his heartfelt commitment to developing appropriate resources to serve the needs of our community’s at-risk youth were critical to the success of CRF-OC’s evaluation and revitalization efforts,” CRF-OC said in a statement. Before being assigned to the Juvenile Court, Hatchimonji served as the supervising judge of the North Justice Center of the Orange County Superior Court, one of the busiest criminal courthouses in California. He was appointed to the Bench in October 2003 by Gov. Gray Davis. Prior to his appointment, he was a partner at the law firm Rose, Klein & Marias, LLP. He earned his law degree from the Southwestern University School of Law and his undergraduate degree from UCLA. He is the son of Mike and Grace Hatchimonji of La Palma.